With diverse terrain that ranges from dramatic river bluffs and Great Lakes to boreal forests and rolling pastures, excellent historic sites and multiple recreation opportunities to engage in, Wisconsin (WI) offers plenty of places to see and attractions to enjoy on your road trip to the state. The scenic drives that wind their way all across Wisconsin provide access to fascinating sites, scenic views and popular attractions that will cause you to stop your car and take in the sites. For an unforgettable journey, drive down Wisconsin's matchless Great River Road. 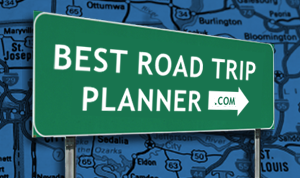 The road takes you 250 miles along the shores of the Mississippi River through quaint towns and beautiful scenery. Other must-see attractions in Wisconsin include: Milwaukee's Art Museum, the Pabst Mansion, Miller Park, the State Capitol in Madison and the city's museums and art stores. No towns on this route. This is PURE SCENIC DRIVING!! This drive will follow right along side the Fox river and pass through some small towns. My favorite is the quaint Wrightstown.